Stunning feature doormat for your entrance way and perfect for placing at your float or truck door. Harness Horses Coir door mat - easily removes dirt of shoes and boots. 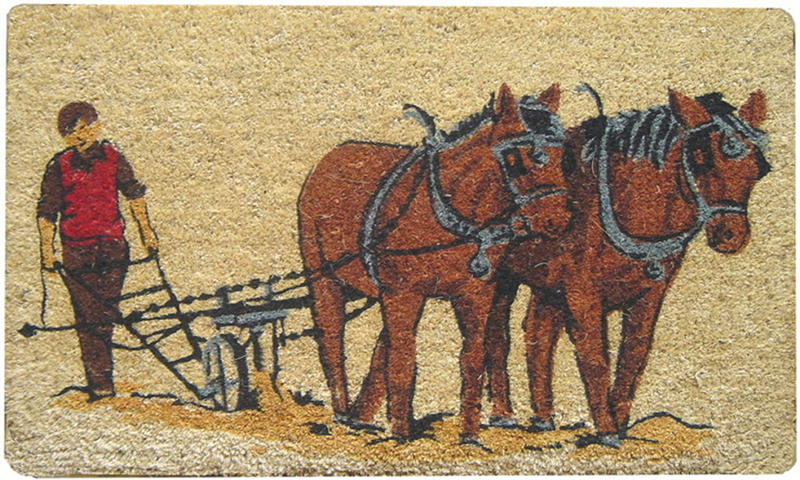 We also stock other horse themed coir mats in a choice of great designs to suit any horse household. Size 75cm x 45cm (30" x 18"). Colours similar to shown in photos but they are not all exactly identical.